ABBYY FlexiCapture for Mailrooms delivers new and innovative functionalities for effectively processing all incoming customer communication in an organisation’s mailroom. It includes all basic data capture functionalities from the FlexiCapture platform enhanced with ABBYY’s next-level classification technology for classifying mixed document input and for digital communication from e-mails. With ABBYY Distributed Capture, an organisation can satisfy all capture needs directly at the point of engagement, whether centrally, decentralised or in the field using Mobile Capture. The ABBYY FlexiCapture Visual Classifier classifies documents based on the layout structure and graphical elements contained in a document. It uses machine learning to identify a set of features that are characteristic for a document type, such as forms, claims, delivery notes, or even invoices. The classifier uses a training model and supervised learning for the setup of the mailroom classification system. ABBYY's Visual Classifier delivers fast and accurate classification results on all document image formats and processes structured and semi-structured documents like forms, sales orders, delivery notes, or even invoices. Content classification allows to process e-mails and other unstructured documents. With the content classifier, organisations can handle the ever increasing customer communication. It helps to automatically correlate, categorise and analyse the information in order to react quickly and speed up the decision making process. 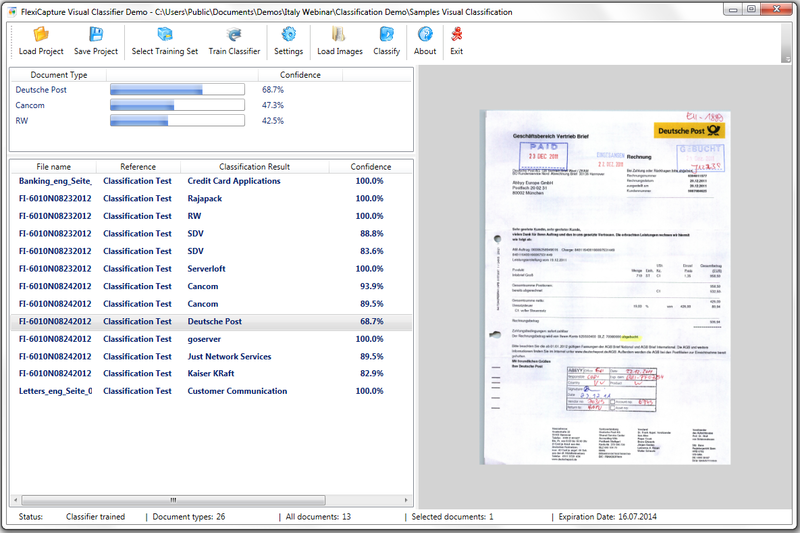 Organisations also receive unstructured documents that cannot be classified using the visual classifier. Contracts, letters or customer e-mails need to be automatically classified and routed to the right case worker in a downstream business process. For those, the ABBYY Content Classifier uses the document content and text elements and establishes similarity comparing comparable features in the text. The ABBYY Content Classifier is a statistical classifier that is trained by adding business know-how through knowledge workers. The ABBYY Content Classifier is completely language independent and fault tolerant. ABBYY FlexiCapture for Mailrooms classifies customer e-mail communication. The content of the e-mails, including attachments, can be classified, relevant information extracted and then routed to the subsequent business processes or case worker for further processing. 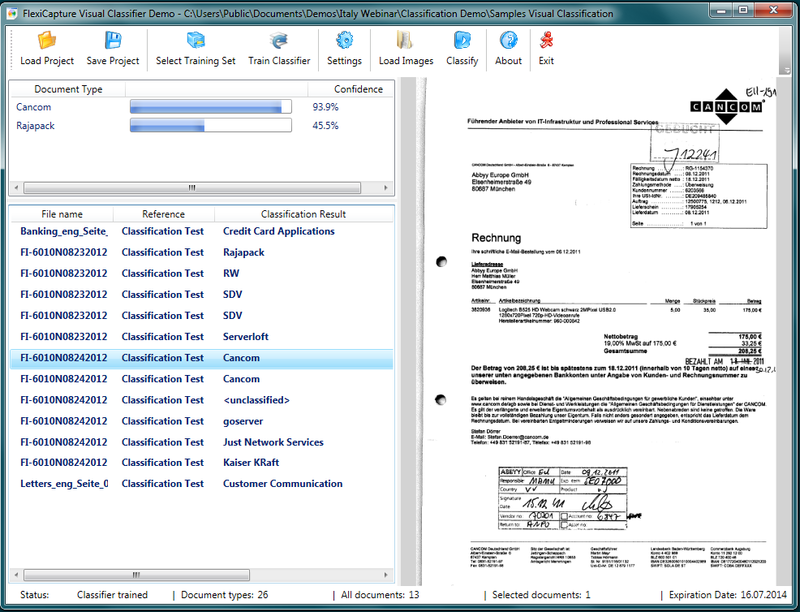 ABBYY FlexiCapture for Mailrooms includes options for online training, which allows an organisation to optimise the classification results during production. Customer documents that are classified with a high certainty and sufficient quality are used for online training, so that the implemented classification logic improves with every new trained document. Based on the classification and extraction results, the identified case in a document or e-mail is routed to the right downstream business process. Internal business rules define the workflow that is triggered within the mailroom capture solution. Consequently, the case specialist processes the customer request and initiates the correct follow-up actions. 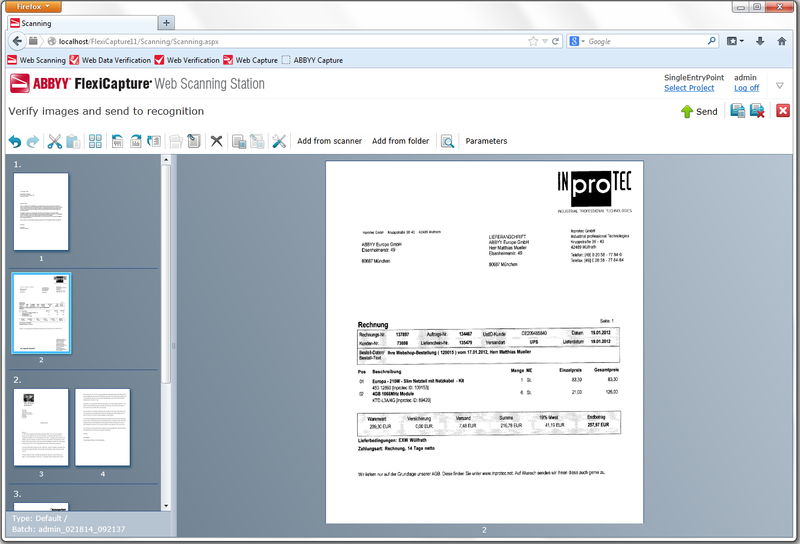 FlexiCapture for Mailrooms includes tools for reporting and statistics. All customer communication in form of paper, fax, or e-mail that enters an organisation will be visible upon receipt. Organisations gain complete control over document and information entry, documents are not lost and communication can be tracked throughout the whole business process. 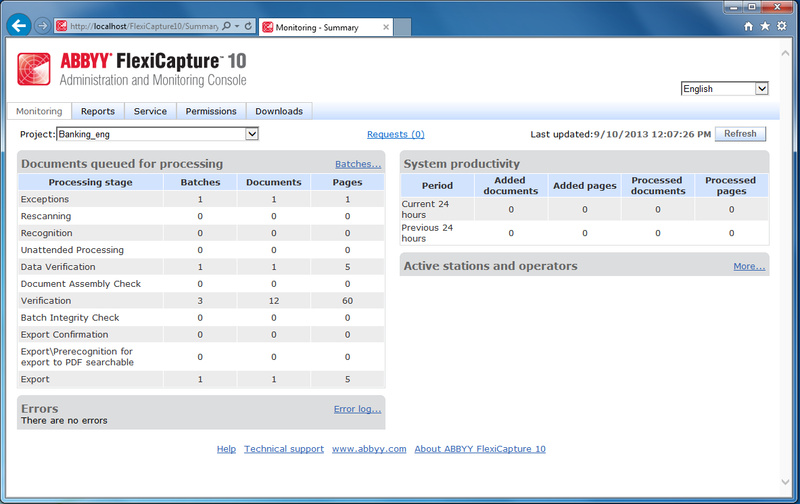 ABBYY FlexiCapture for Mailrooms allows different ways of monitoring and statistics from leveraging a standard monitoring client that visualises statistics up to advanced reporting for analytics or Business Intelligence (BI). 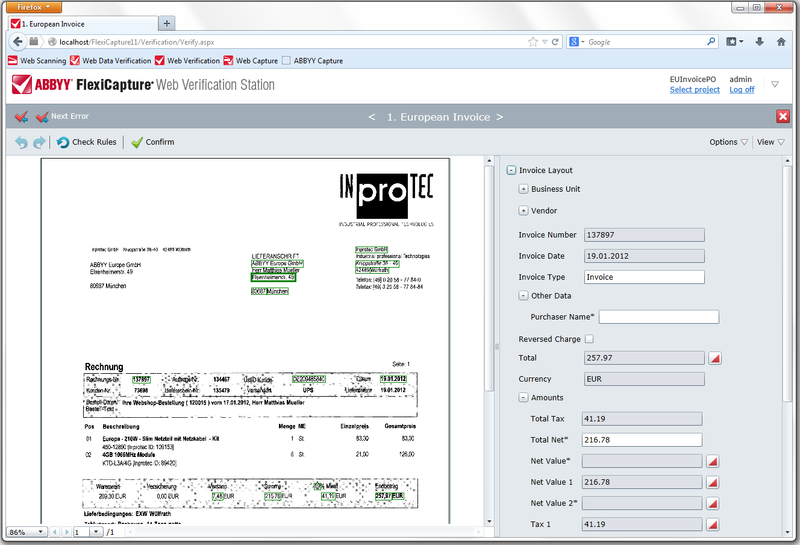 FlexiCapture for Mailrooms addresses the increasing compliance needs of organisations. Better visibility of documents, incoming information and customer communication facilitates the monitoring of the entire business process. This ensures compliance with legal requirements and significantly reduces risk for an organisation.